Lagarto restaurant, based in the quiet but comfortable resort of La Caleta offers guests a beautiful warm and inviting interior. Relaxing here is not a problem as the chic and trendy settings create a fabulous option to eat finely cooked food or to just sip a cocktail or two. Whatever takes your fancy. 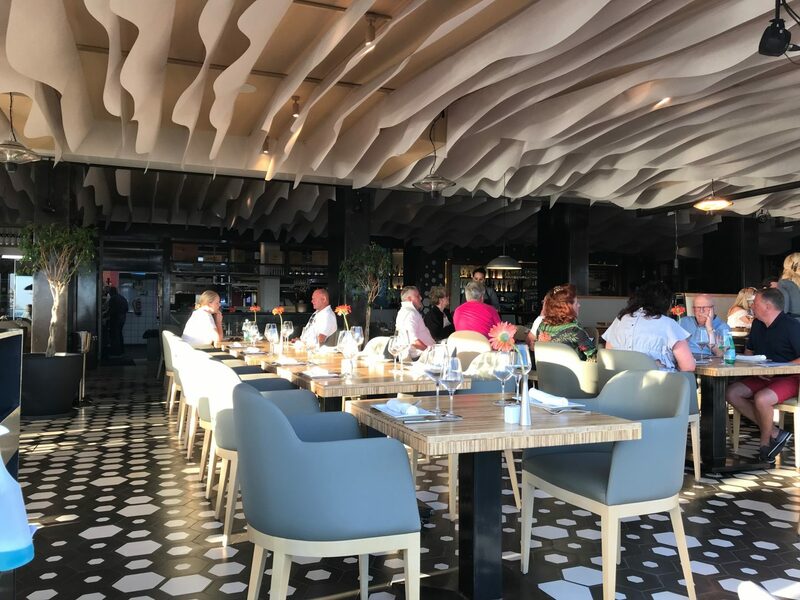 With all the finishing touches of the elegant features, this restaurant oozes quality, style and food dishes which are different but definitely worth a visit! 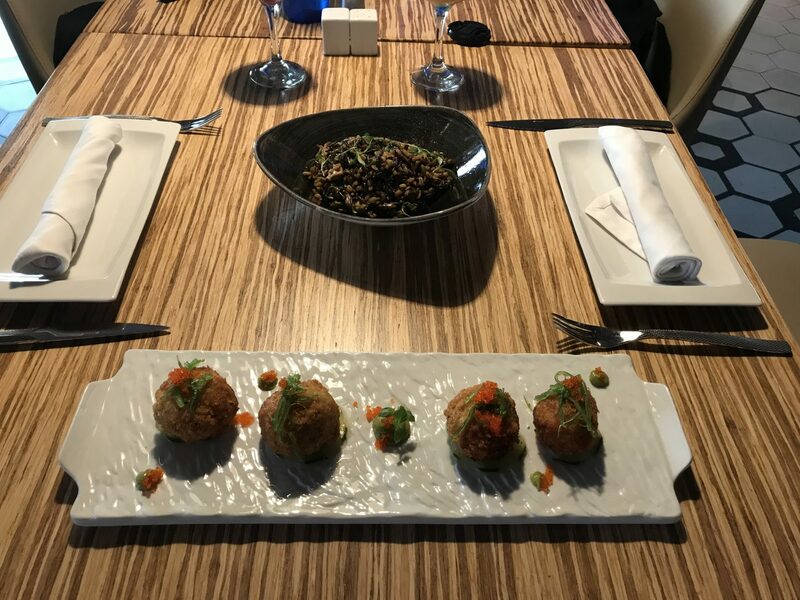 With attentive staff, quick service and attention to detail from start to finish, this restaurant knows how customer’s experience should be delivered. 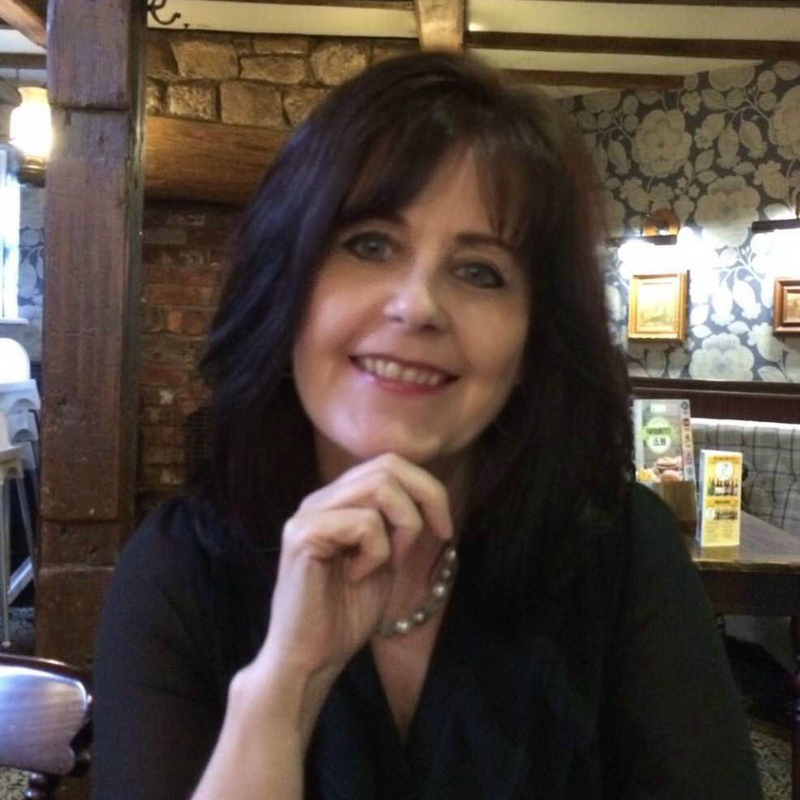 My time here was soaked up in the atmosphere of the restaurant, the staff moving from table to table to ensure service was spot on and feeling relaxed. It is certainly a ‘must visit‘ restaurant if you are seeking that extra class, different menu choice and a lasting holiday memory for great food. I did say in my last blog that I was impressed with Lagarto for offering cocktails which were different and ‘thinking outside the box style’. Well, the food menu certainly offers tourists and locals an option of refined dishes with combined flavours you would not expect to find on your plate but totally delicious! 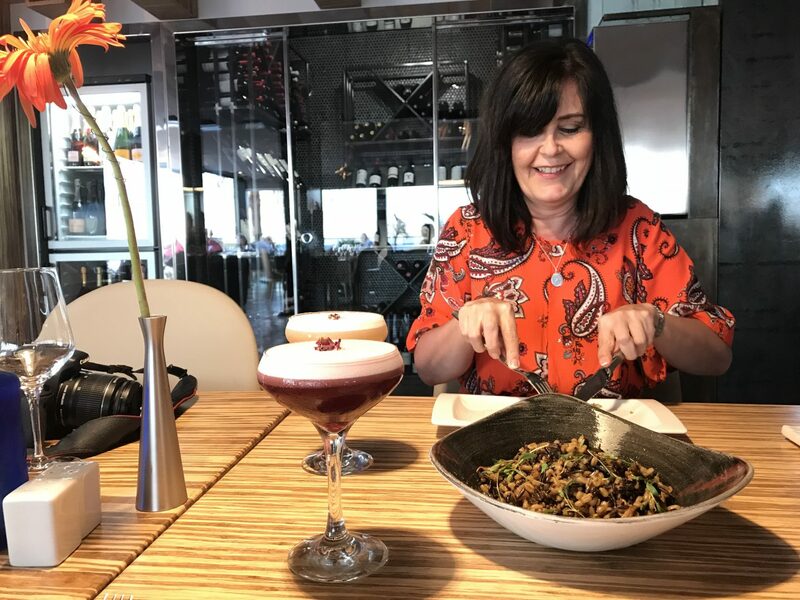 My guest is Vegan and this can be challenging for any restaurant, especially in Tenerife but Lagarto catered and delivered food to suit, leaving us both very happy. The cold starter and good size portion was a dish which is certainly different. Fresh, sliced seared tuna served with balsamic strawberries, hint of lime mayonnaise and ginger sorbet. The different flavours were amazing and to be honest, at first I was a little unsure reading the flavour of the strawberries, as usually it’s served with cream or on some delightful cake but hey! this was really nice. 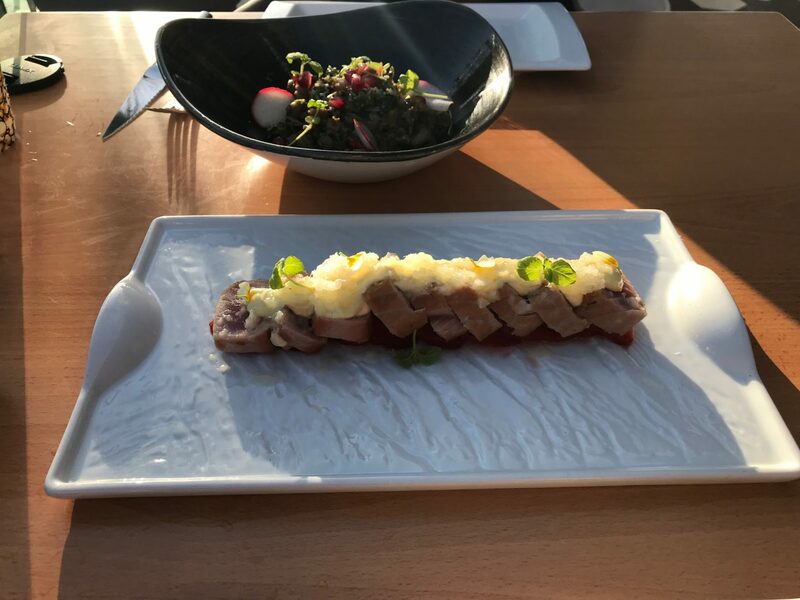 The lime and the ginger was just the right consistency, not overpowering but just enough to compliment the fresh tuna slices and create a lasting experience of this wonderful dish. Vegan style dish (not on the menu but made to cater to Vegans so just ask and they will make something to suit). This dish consisted of radishes, beans and a mixture of vegetables, infused with some spices. It went down a treat to start the night off with a positive food choice. House favourite starters were the crab fishcakes and I have to say, this was a big thumbs up from me. Crispy and really tasty, the fishcakes were a great choice. I would highly recommend this starter and it is also a nice sharing plate if you only want a small choice. Vegan style, lentils, beans mixed with vegetables and exotic flavours. 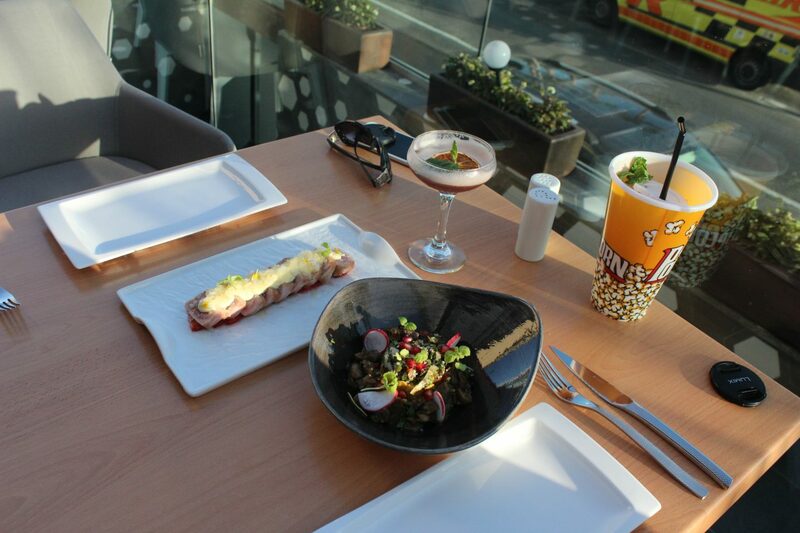 The choice of main dishes offered also demonstrated the careful planning and thought put into every selection on the menu. Just a few of the selections consisted of Pan Seared Canarian Grouper Fillet served with red pepper mix, celeriac and apple purée. Chicken Kabobi offers free-range chicken skewered and infused with orange, mint and warm spices, served with minted saffron yoghurt and Lagarto aromatic flatbread and tomato tabbouleh. Or you could try the more traditional food with a twist of flavours such as New York Strip Sirloin, cajun spiced and cooked on a wood charcoal grill, served with garden salad and onion rings. If you are a sucker for a burger, try the Lagarto Burger which is a 200g meat burger, goats cheese, semi-cured parmesan, red caramelized onion, fresh salad, served with triple cooked chips. What was really impressive was the showcase of the finest wines in the walk-in cooler fridge. Showstopper and it demonstrates just how much selection and quality Lagarto has to offer their customers. Finishing off the wonderful night, soft music of a live performer, what better way than to end the night on a Lagarto dessert! 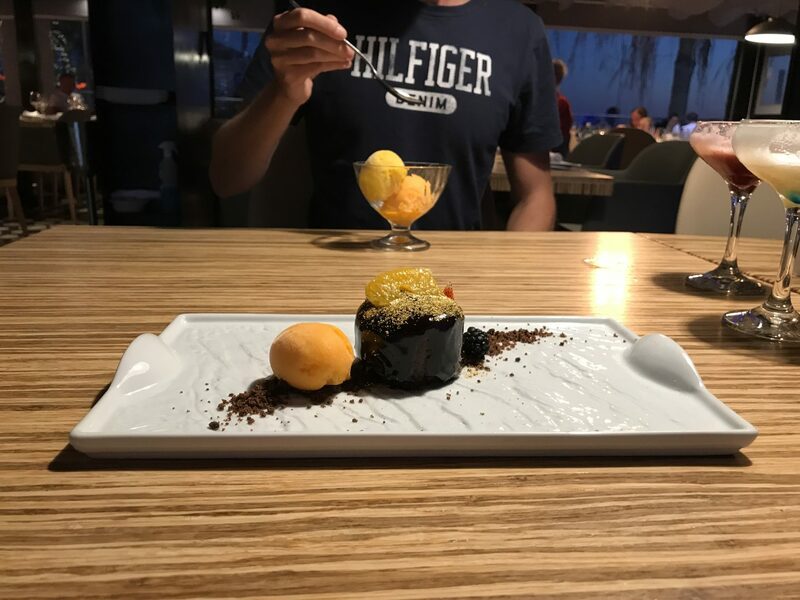 Well, it would be a disappointment not to see what creation they could offer and with that, the most delightful chocolate and orange delight landed at my side of the restaurant table. Sorbet also arrived but I was very happy with the ‘star’ of the show, chocolate delight! My closing comments for my visit to Lagarto restaurant in the beautiful town of La Caleta, summed up with the sentence of ‘excellently cooked food with flavours that work and attention to detail from staff, right down to cutlery’. 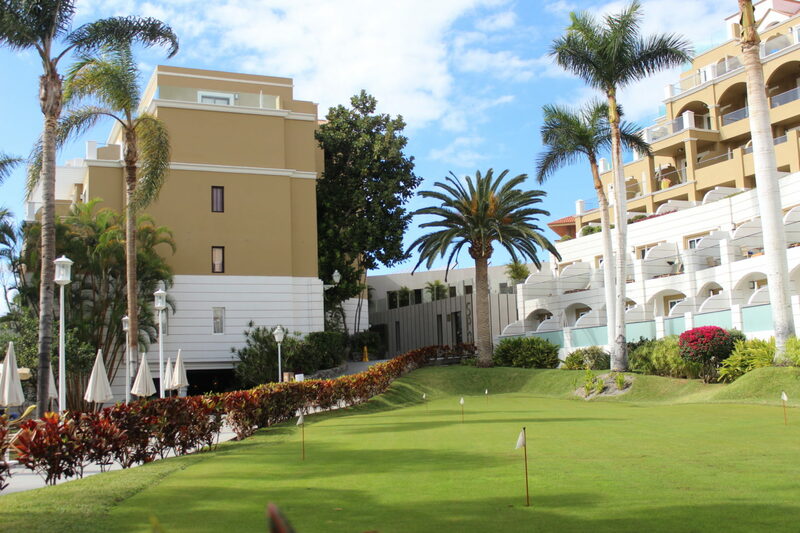 Truly wonderful experience for eating in Tenerife and worth adding to your list of places to eat for a holiday treat. Thank you, Lagarto for making some amazing food dishes and a fabulous night!